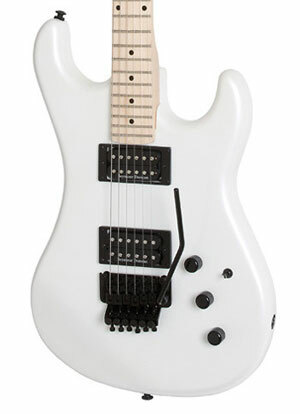 As rock guitar evolved from the blues-based foundation set by bands like Led Zeppelin and Black Sabbath to become even harder-edged, faster and flashier, young players saw Van Halen’s modified Frankenstrat as an essential component of the sound and no longer coveted the traditional Fender Stratocasters and Gibson Les Pauls carried by the previous generation of six-stringed heroes. 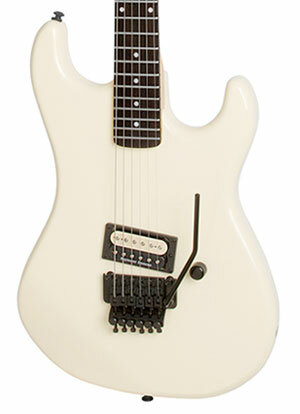 They demanded instruments that included the engineering advances that enabled shred. Super Strats were purpose built for Van Halen’s style of hard rock, sometimes in basements and garages, until the industry caught up with demand. Pickups became hotter and the string locks, locking tuners and over-engineered floating tremolos that accompanied them allowed for new sonic possibilities, especially when paired with higher-gain amps. 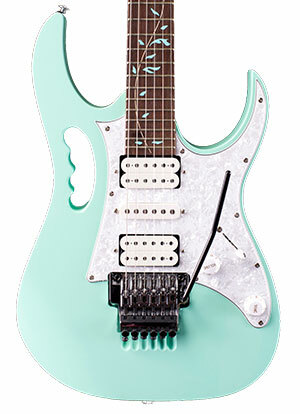 With the JEM, Ibanez and Vai took thin necks to new extremes thanks to advances in woodworking technology that was scalable for production models. 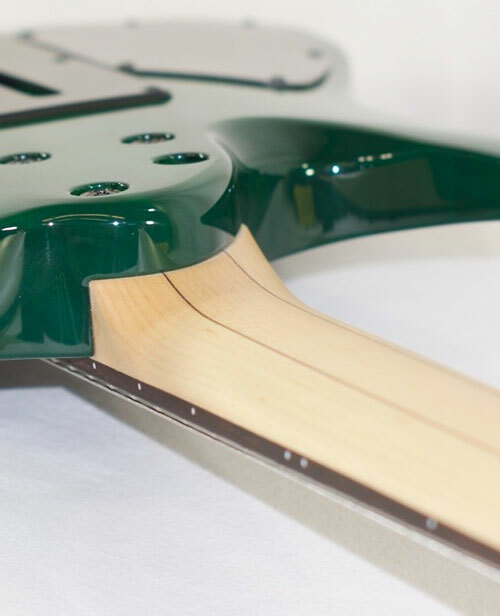 To make some of the thinnest profile necks in the world, Ibanez invented a new internal truss rod to maintain the structural integrity of the thinner necks. The source of their inspiration? 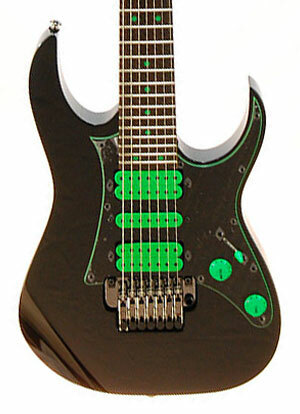 A Jackson Guitar that an Ibanez luthier had x-rayed at his dentist’s office. 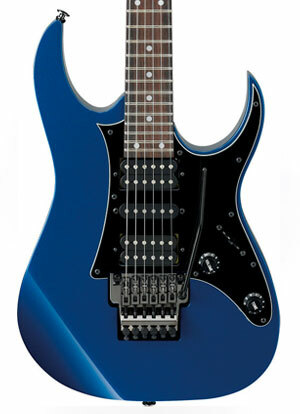 The result was Ibanez’s Wizard-profile necks, which were, and continue to be, some of the fastest and thinnest around. 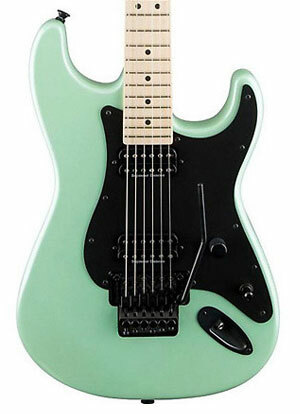 Players embraced the JEM so readily that in subsequent years the company launched the Universe, which helped propel the seven-string guitar into vogue with players, and RG series. 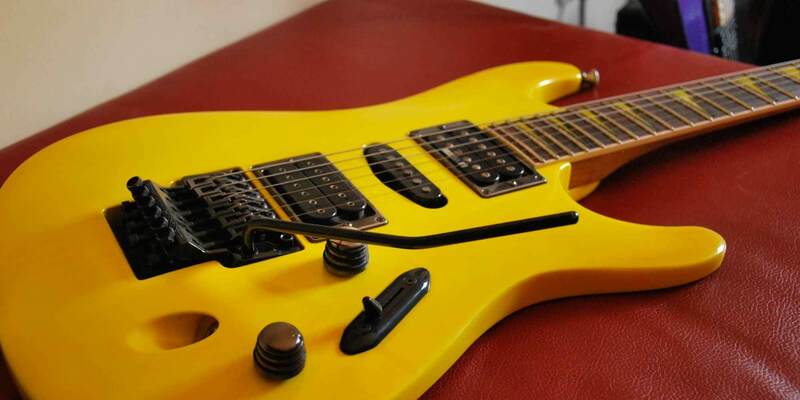 In the 1980s, each guitar company closely watched what the competition was doing. 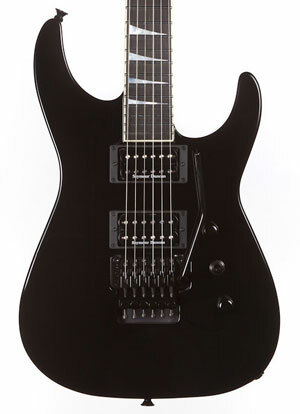 For example, if ESP would shift production overseas to match a price point with LTD, Jackson would follow suit with their Professional Series. In the U.S., even traditional companies like Fender and Gibson built their own Super Strats, looking to match the players’ new expectations for speed and playability. As the 1980s wound down, player’s tastes again shifted with the rise of grunge. The Seattle-based rock, and its heavy but less flashy guitar work, again shifted what players wanted out of their instruments. Today players are looking to revisit the decadence of the ‘80s, as signaled by the resurgence of brands like Kramer, and climbing prices of older B.C. 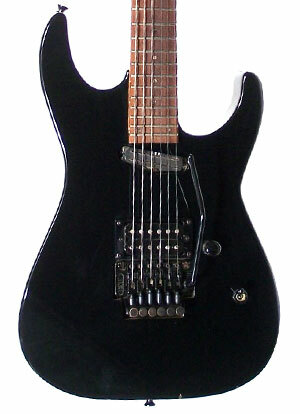 Rich, ESP, Jackson, Ibanez and Hamer models.